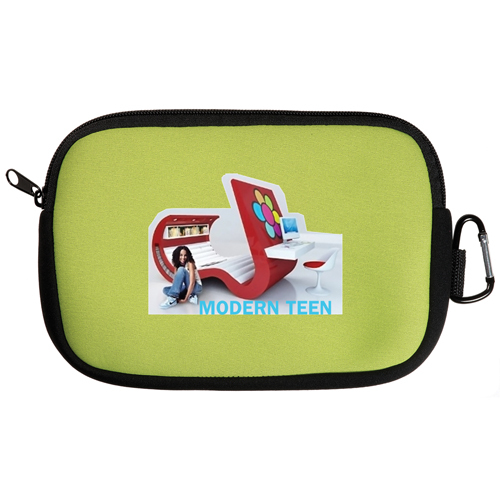 Neoprene Accessory Pouch is the perfect pouch for traveling. 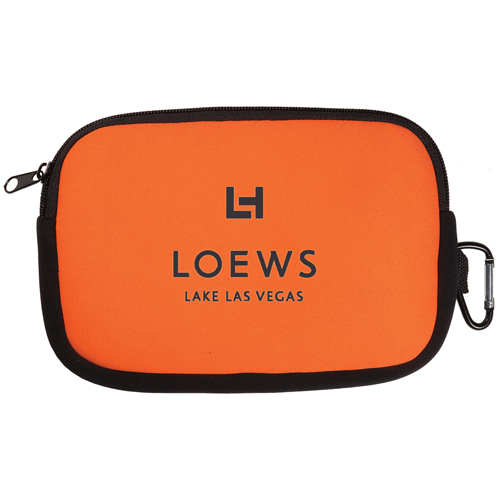 Fill with personal items or electronic accessories. 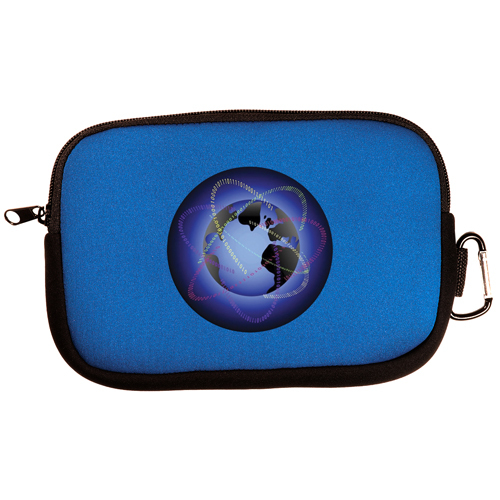 Neoprene pouch features a zippered closure and a carabiner clip. 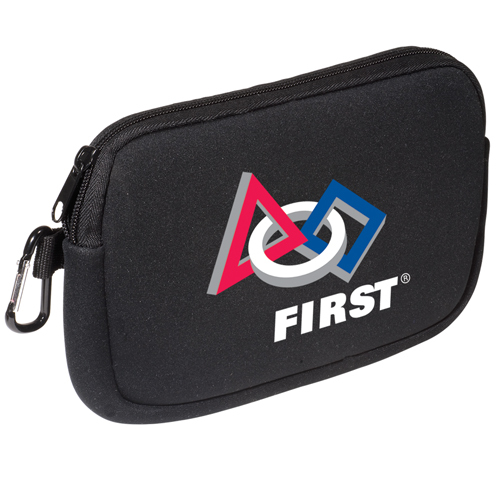 This Neoprene Accessory Pouch features a zippered closure for keeping your electronic devices safe and secure.It also includes a carabiner to you can easily transport your accessories. 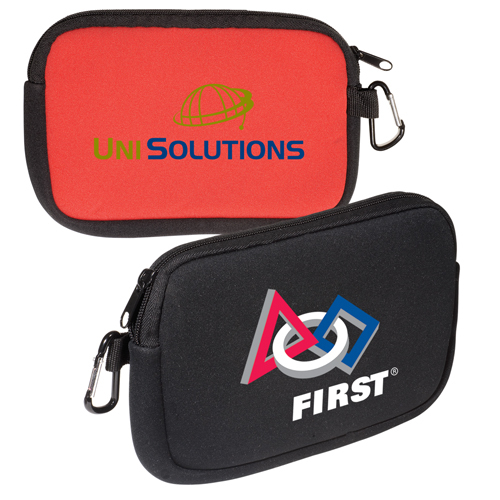 Available in several eye-catching color choices, this 8" x 5" x 1" case can be imprinted with your company logo or design for maximum brand visibility. It has a lifetime guarantee. This supplier is QCA certified. 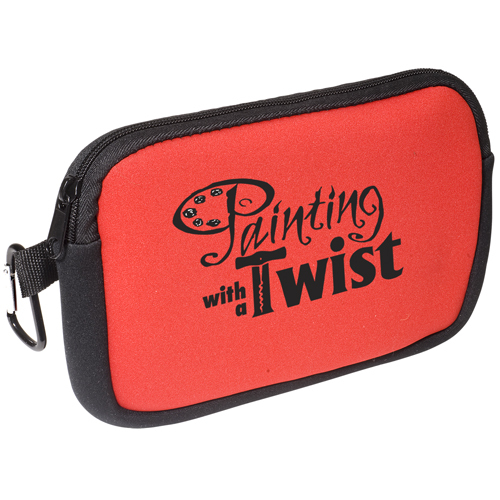 Invest in this promotional pouch for your upcoming event! Bulk / 32 lbs / 200 pcs. / 21 x 16 x 19box.